The Chaldean Catholic Archbishop of Tehran Ramzi Garmou hailed Iran’s peace and security in a region engulfed by war and insecurity, saying that Christians have a peaceful life in the country. According to a report by IFP, Archbishop Garmou is grateful that Iran is such an oasis of peace in a region beset by war, and in which Christians face mounting persecution. “Thanks to God, we really live in peace and security, but our neighbours live in anguish and violence. We pray for them tonight,” he told AFP. Christians are officially recognised and protected in Iran – along with Jews and Zoroastrians – under the Islamic Republic’s laws. 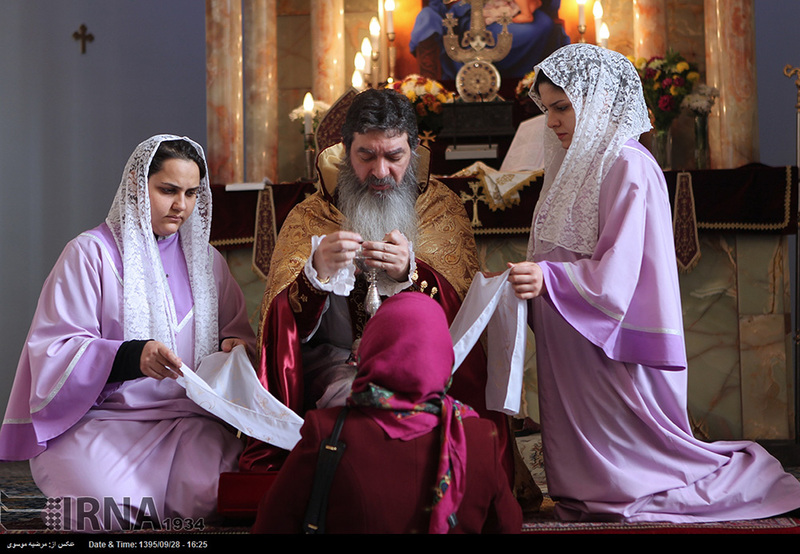 The majority of Christians in Iran are Armenian — who are Orthodox Christian — along with a few thousand Assyrian Catholics. The past month has seen Christian, and even Muslim, shoppers flocking to Armenian districts in Tehran to pick up fake trees, and stock up on baubles, reindeer toys and plastic snowmen. Tehran might not seem like the most obvious pit stop for Santa Claus, but Iranians love the chintzy side of Christmas and it is also one of the safest places in the Middle East for Christians, AFP says. “It’s really interesting and attractive for us,” said Niloufar, a Muslim woman in her thirties who was out shopping with her husband on Christmas Eve. Shoppers line up for selfies with one of several Santas stationed outside stores on the main drag. Hamed Davoodian owns a grocery store on the street, and says the community never faces any trouble from the authorities. “Why should we? (Armenians) have been here for 400 years. They are great to us,” he said, adding proudly that Christians fought alongside their fellow Iranians during the brutal war with Iraq in the 1980s. “There were 30 to 35 martyrs from our neighbourhood,” he said.